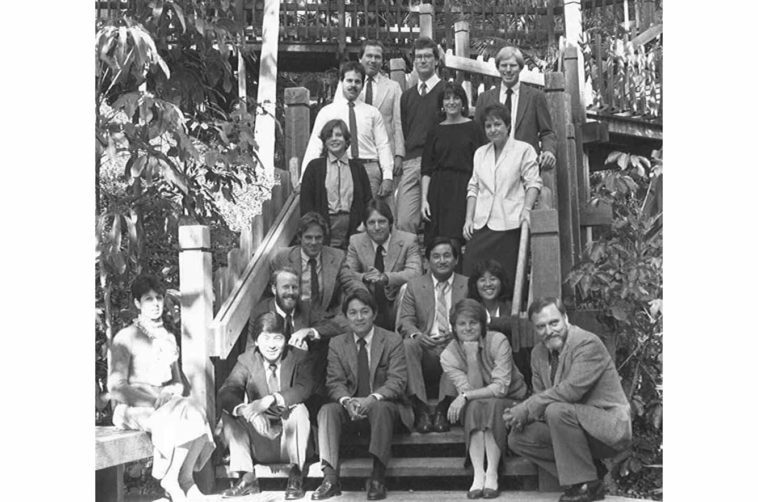 In 1983, KTUA staff gathered for their annual office photo on the steps of Palm Canyon in Balboa Park. Arroyo de Las Palmas, or Palm Canyon, was originally designated in 1912 in preparation for the 1916 Pan-California Exposition in Balboa Park. For the 1935 California Pacific Exposition, a “Rustic Bridge” was constructed across Palm Canyon to serve as a pedestrian link between the Alcazar Gardens, the California Tower, the museums and the Palisades area. A walk across the bridge was described as “a walk over the treetops, across the canopy.” The bridge is long gone, but the 1935 stones steps still lead to the bridge landings on either side of the canyon. Designed by KTUA, a secondary bridge from Alcazar Garden to the Spreckels Organ Pavilion and the canyon stairs were built in 1977 and provide access into this beautiful canyon. Palm Canyon received a Landmark Award from the San Diego Chapter of the American Society of Landscape Architects in 2018. 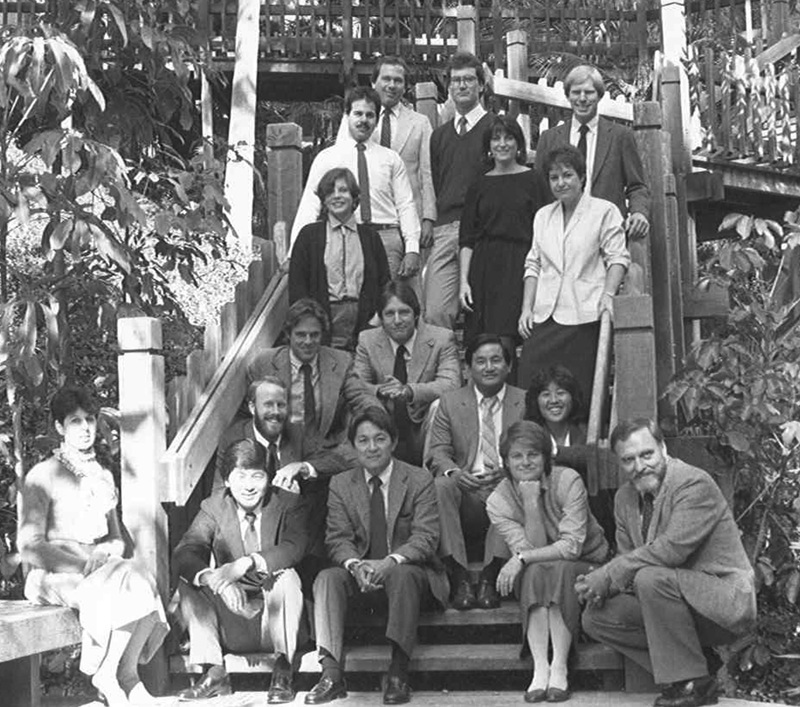 KTUA staff on the steps of Palm Canyon in Balboa Park. Can you identify Kurt Carlson and Cheri Blatner-Pifer in this photo?